The sideboard Van Ness posseses typical lines of workshop furniture from the mid-20th century. which makes it a fashionable shabby chic sideboard storage solution to help keep things tidy. 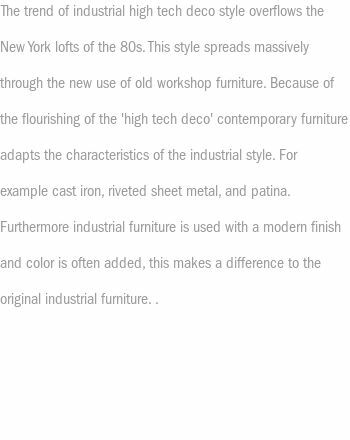 At the same time it will give your home great industrial Vintage flair and contribute to the overall decor. 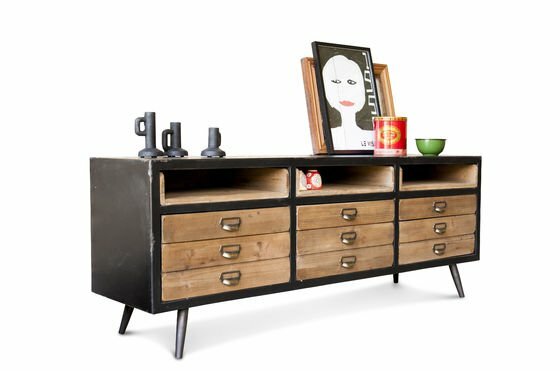 This sideboard with lightly aged wood has 6 different drawers. The first row consists of removable sliding plates, which will be the perfect to stow your glasses and bowls. 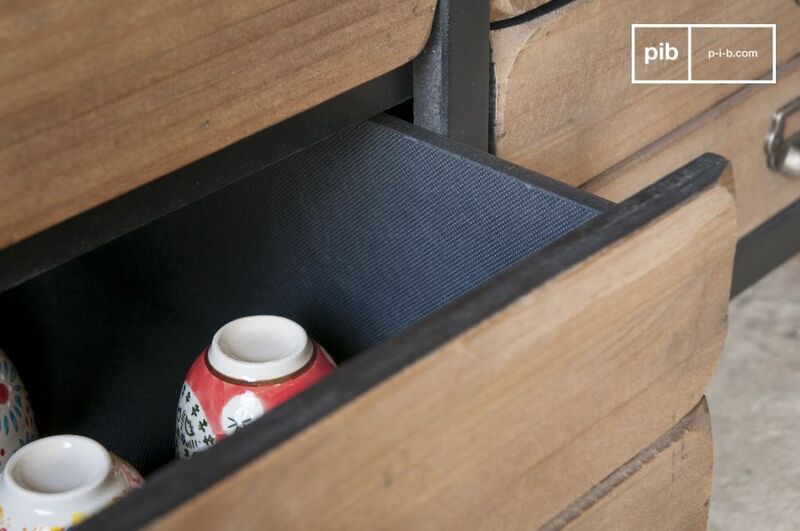 The next row consists of three drawers, which can be used for utensils or documents. The last two rows of drawers may look seperate but that is just the facade. These last two rows combined together allow for a larger storage space for those larger items that need hiding. 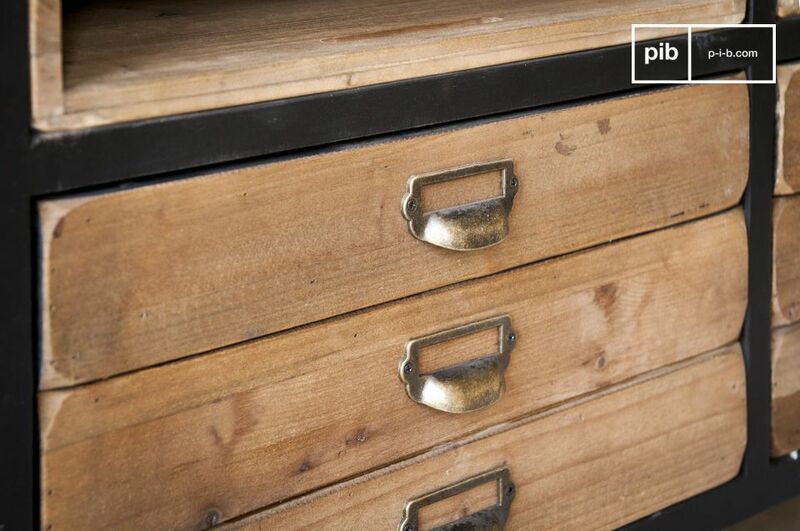 Each drawer is equipped with a metal handle made of varnished brass and a label holder. The inside of the drawer is covered with black fabric. 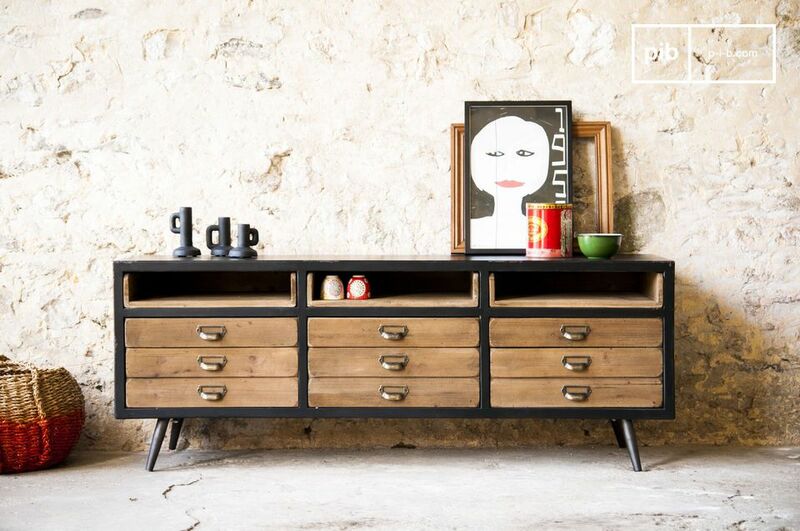 The structure of this sideboard consists of black patinated wood. This slightly aged finish enhances the charm of the furniture. 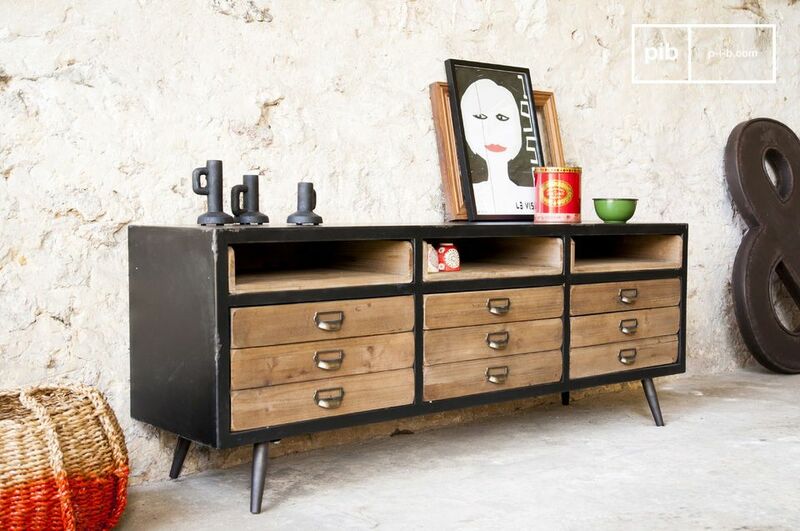 The result is a designer retro sideboard with great vintage elements. The sideboard Van Ness makes for the perfect furnishing within a living room, that is already decorated with plenty vintage accessories. 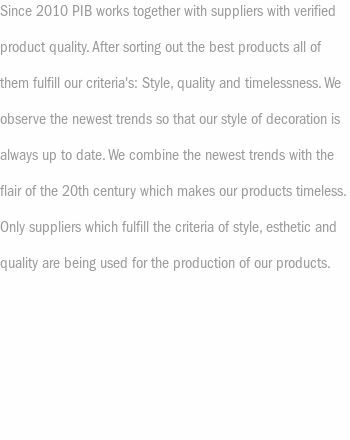 However, it will also feel fitting for a more traditional interior. 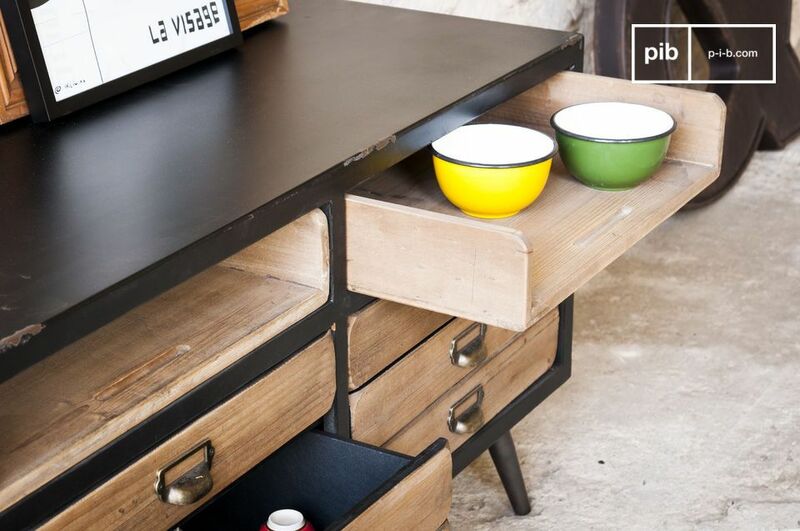 Thanks to the many storage options which could be used for organising and tidying up, this sideboard can also be used in a stylish office. The toplevel shelf dimensions are 8 cm with the drawer and 10cm without. The length is 46cm with the drawer and 48 cm without. The depth is 38 cm.